Classic Home’s four lifestyle looks create on-trend spaces using a curated blend of their handcrafted furniture, textiles and rugs. No matter what pieces you purchase at market, Classic Home can help you create a cohesive look your customers will love. Browse their looks for inspiration and visit their showroom— IHFC D443—at High Point Market. 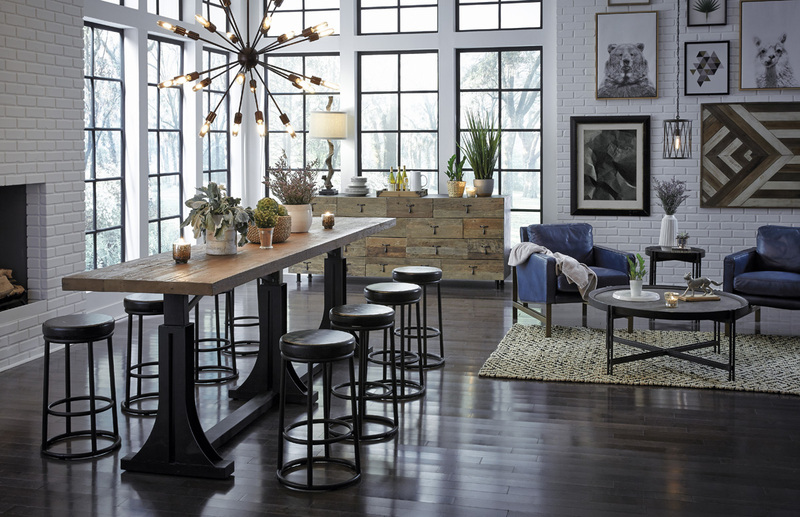 Elevate city living with dark wood pieces, metallic accents, and leather upholstery. Textured rugs and select fabrics provide a final, elegant touch. 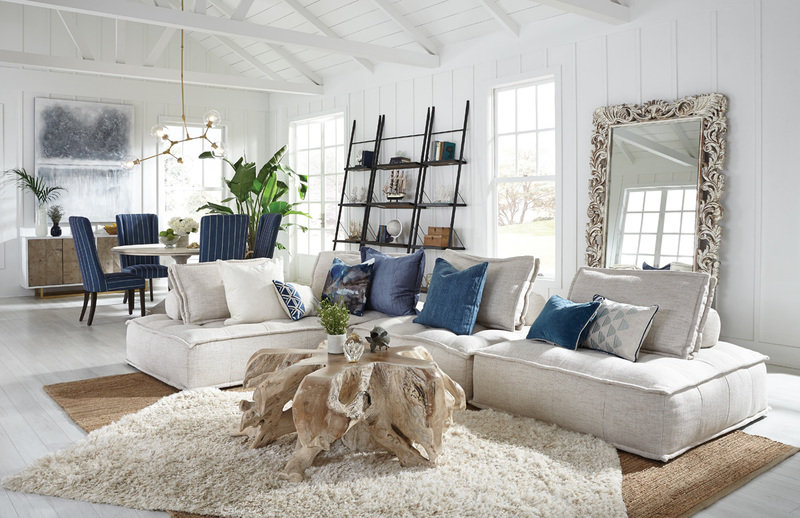 Bring relaxation and comfort to the fore with plush seating and whitewashed woods. Stonewashed textiles and natural fiber rugs add color and texture to this refreshing look. Relax in the comfort of classic forms blended with contemporary materials. Upholstered seating, hand finished wood furniture and floral-patterned textiles bring an updated look to familiar favorites.